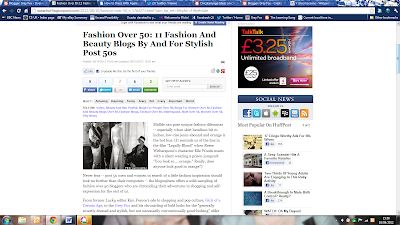 I write about menswear style, lifestyle and fashion for the older man and have an interest in British-made products. I welcome collaborations, commissions, modelling requests and invitations to talk. Please get in touch with any queries. 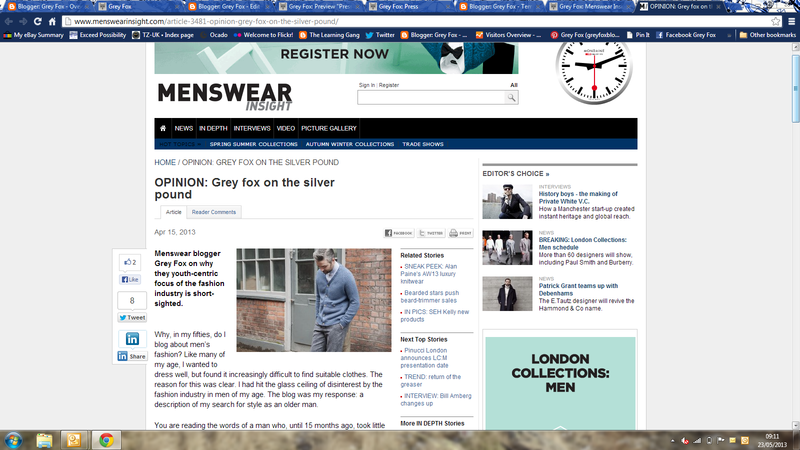 Brand websites - I write articles for brand websites and blogs such as these; Crockett & Jones, New & Lingwood. 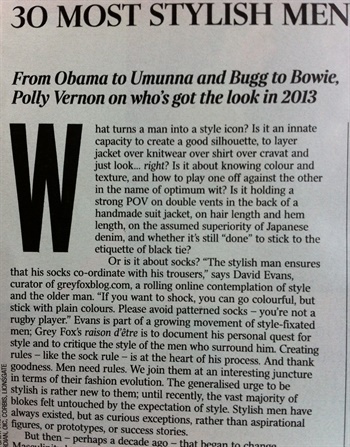 The Rake Pocket Guide - Fox News: David Evans, February 2017. 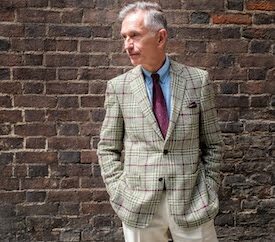 The 20 Most Stylish Men on Instagram - Esquire UK, November 2016. 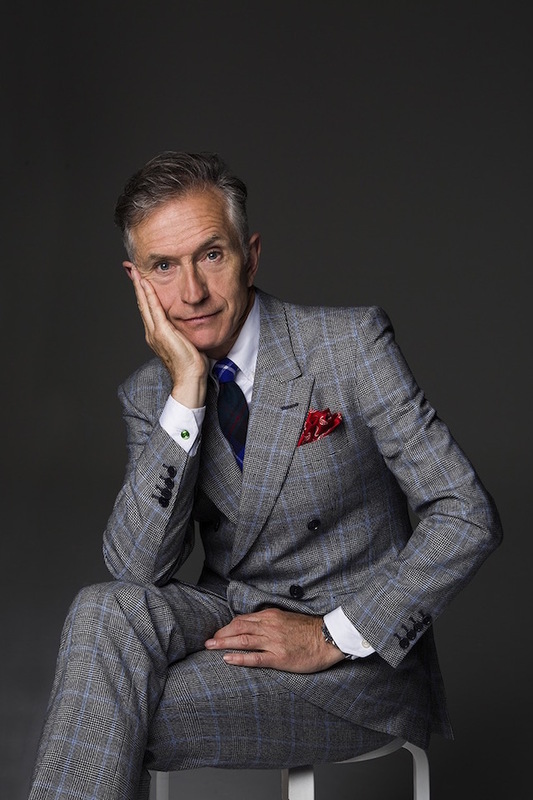 Interviewed by BBC 5 Live and 13 local radio stations on 5-7 January 2016 about the GQ Best-Dressed List and has since appeared on many radio stations, national and local. 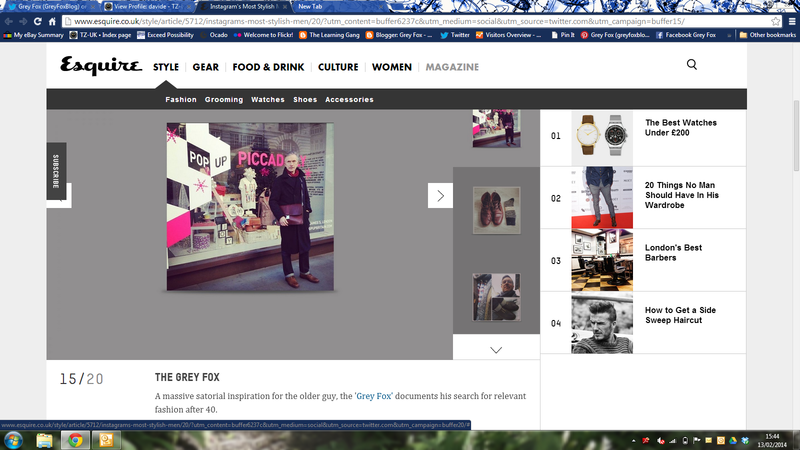 Grey Fox appears in the House of Fraser Christmas advert 2015. 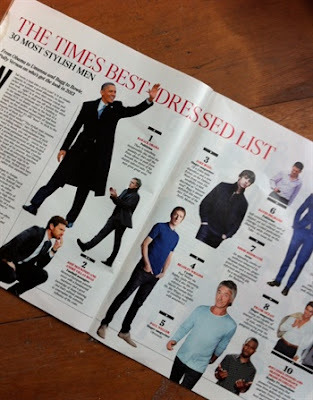 The Telegraph Magazine - advertorial 'Top 5 Iconic Men's Style Pieces' November 2015. 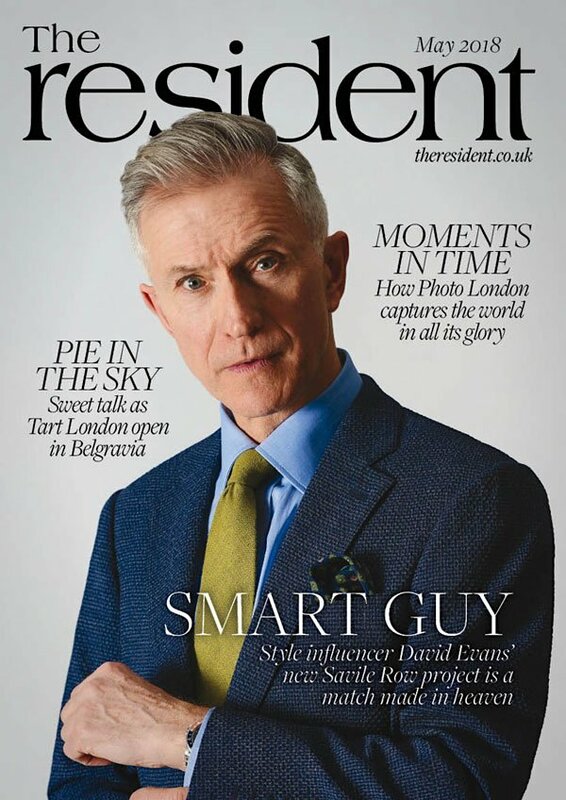 Fashion for all Ages - Guardian November 2015, print and online. 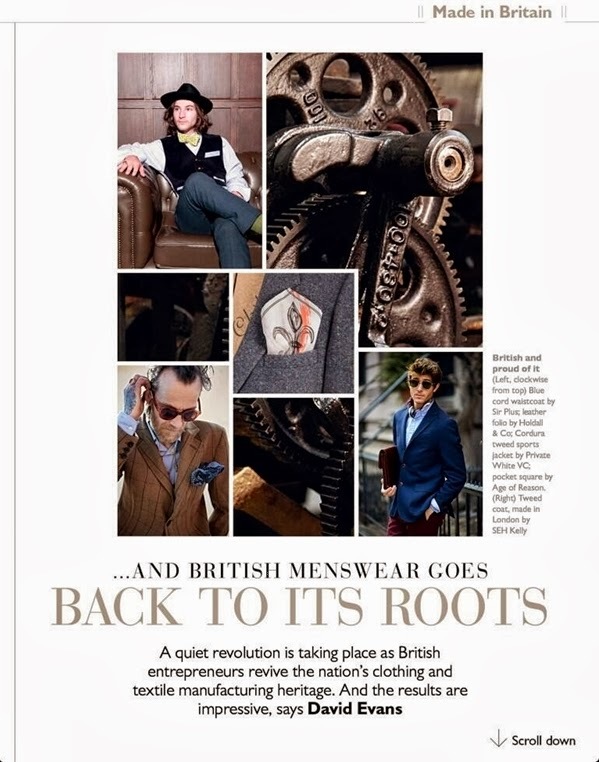 Plaza Uomo magazine - featured in 'London Gents'. Fashion for All Ages - Guardian October 2015, print and online. 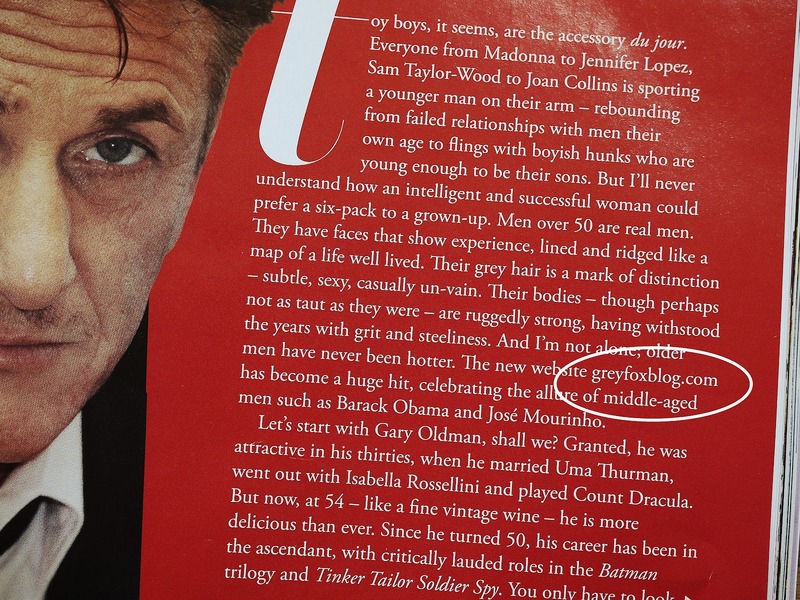 Gentlemen by Jonathan Daniel Pryce pub. 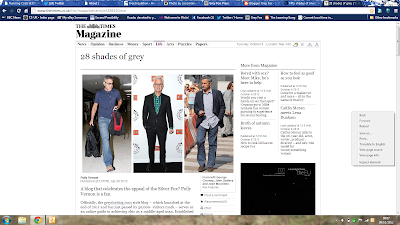 by Penhaligon's London - contains portrait of Grey Fox (link to GQ's coverage of the book). 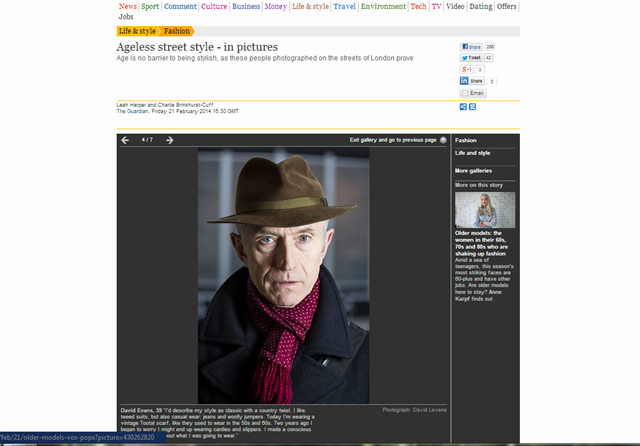 University of the Arts London - I took part in a discussion Men's Fashion Blogging on 18 March 2015 with fellow-blogger/photographer Jonathan Daniel Pryce, Agnès Rocamora and Dr Shaun Cole (both from the London College of Fashion). Selfridges Bright Old Things - participation in discussion with Anne Karpf at Whitworth Gallery, Manchester, 19 February 2015. 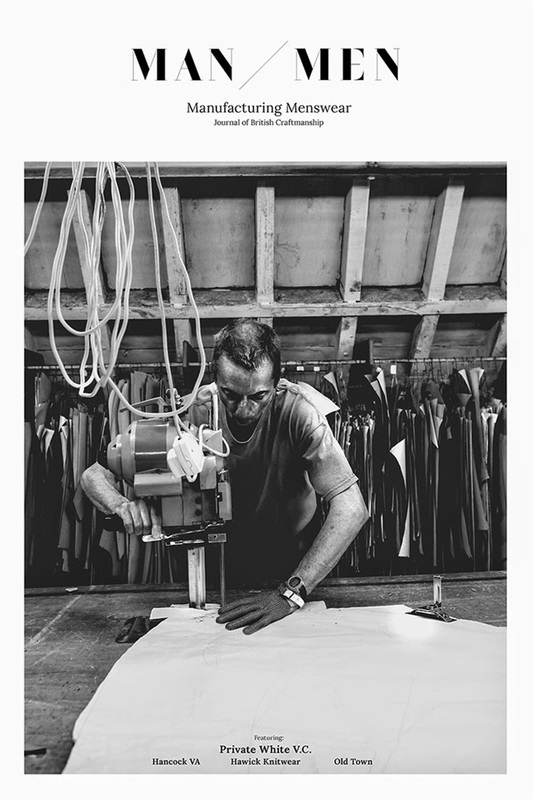 Best of Britannia - October 2014, panel member with Katharine Hamnett and others discussing the sustainability of British textile manufacture. 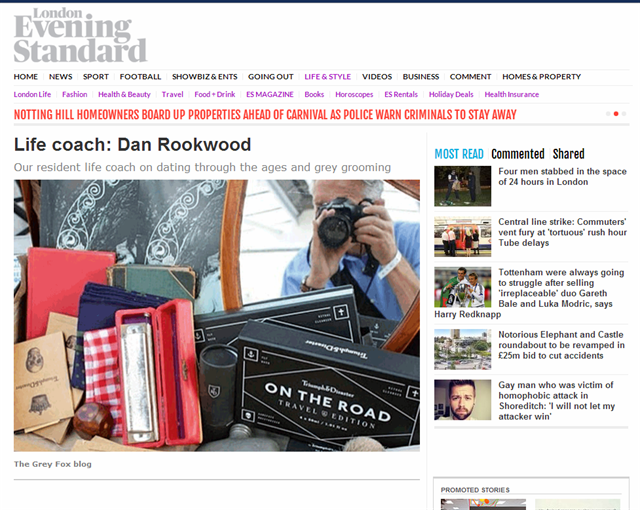 London Evening Standard, Life Coach: Dan Rookwood Loves... Grey Fox Blog. 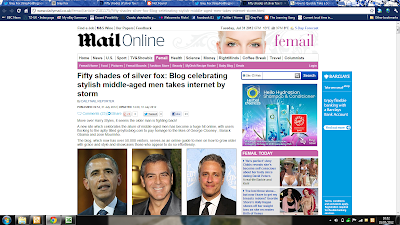 21st August 2014. 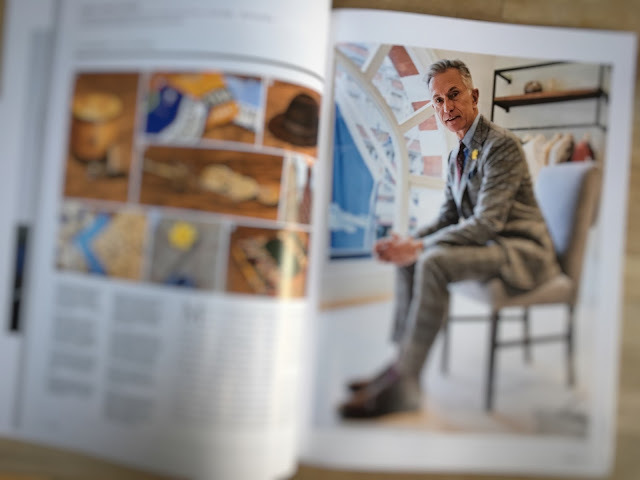 Mr Porter Journal, The Rulebook - David Evans, Grey Fox - August 2014. 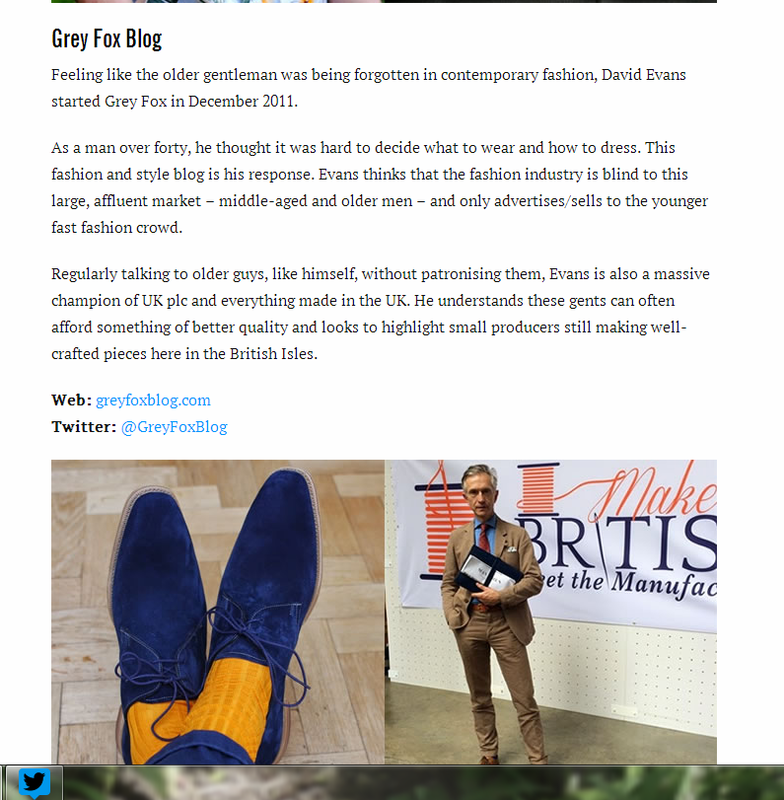 The Rise of the Men's Fashion Blogger - a mention on Fashion Beans 12th August 2014. 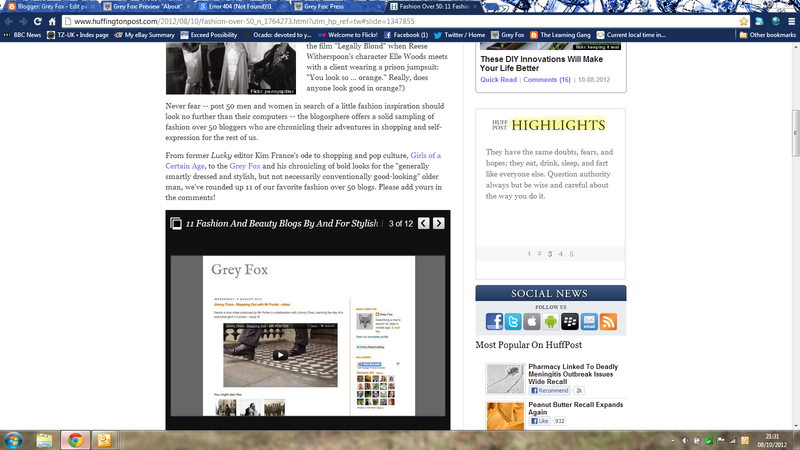 BreakThru Radio - Grey Fox is interviewed on this New York radio station. August 2014. 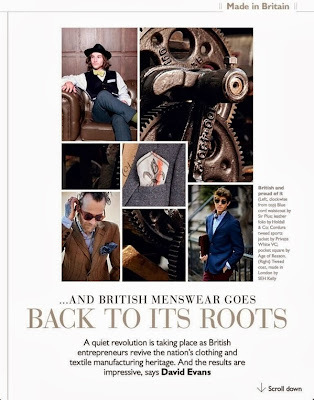 Menswear Insight - article online and in hard copy, July 2013. 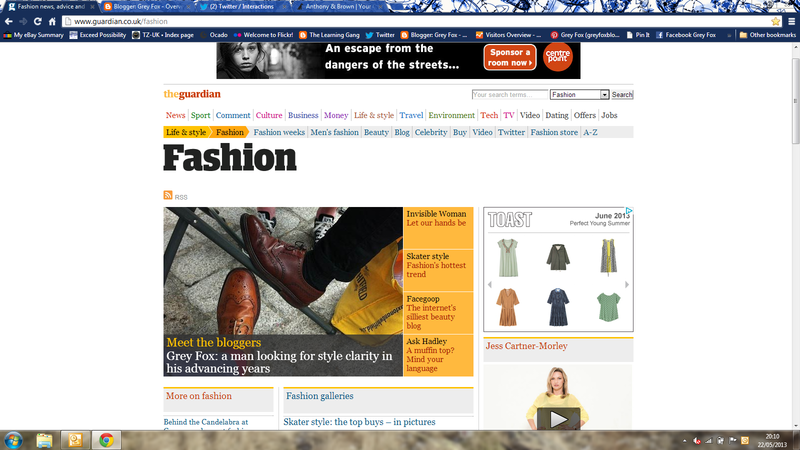 The Guardian Fashion Bloggers' Network. 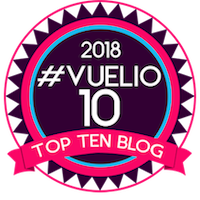 I stopped writing for this in early 2014, although I notice to my surprise that the daily visitor numbers are still healthy! 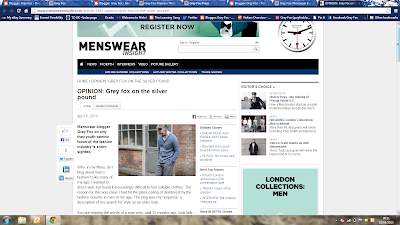 Menswear Insight - article online and in hard copy April 2013. The Times Magazine, March 2013 (subscription needed). 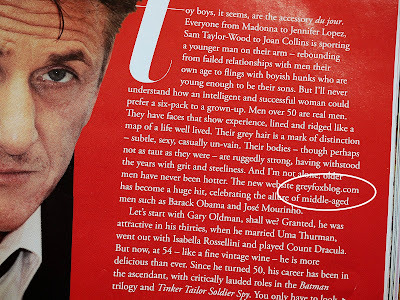 Easy Living, October 2012 (not online). Daily Mail Online, July 2012. 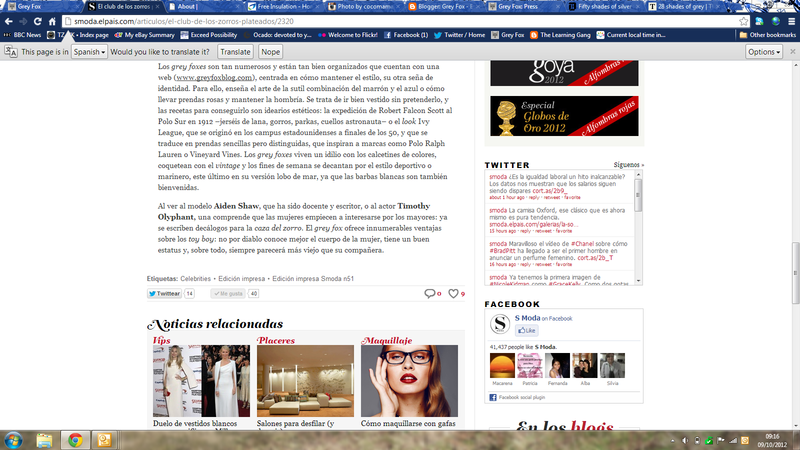 The Times Style Magazine, July 2012 (subscription needed).